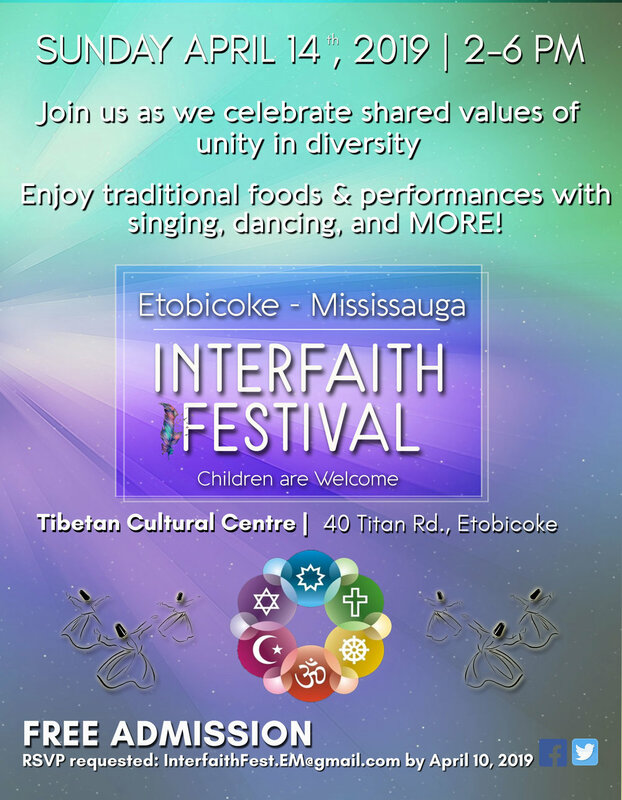 Come join us at our 2nd Annual Interfaith Festival taking place on Sunday April 14, 2019, 2-6pm at the Tibetan Cultural Centre. There will be performances by many faith communities and a children’s program. This is a free event. Kindly rsvp at interfaithfest.em@gmail.com before April 10, 2019.